Atilla Yesilada is Turkey’s leading political analyst and commentator. He is known throughout the finance and political science world for his thorough and outspoken coverage of Turkey’s political and financial developments. In addition to his extensive writing schedule, he is often called upon to provide his political expertise on major radio and television networks. Based in Istanbul, Atilla is co-founder of the information platform Istanbul Analytics and is one of GlobalSource’s local partners in Turkey. 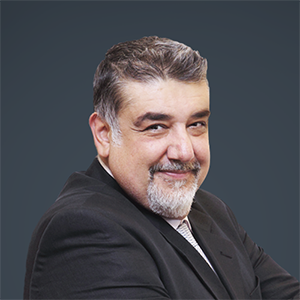 In addition to his consulting work and speaking engagements throughout the US, Europe and the Middle East, he writes regular columns for Turkey’s leading financial websites such as www.paraanaliz.com. Atilla Yesilada previously served as Research Director for several leading Turkish brokerage firms, including, Global Securities, Eczacibasi Securities and Egebank. While serving in this capacity, Atilla and his teams received more than 20 awards for excellence in research and he was selected to the 1997 All-Europe Research Team of the Institutional Investor Magazine. In addition to offering macroeconomic, market strategy and political consulting, Atilla is an expert in sectoral analysis, including finance and the banking sectors, as well as energy and media. He has completed customized projects for clients including evaluating the real estate market in MENA, directing feasibility studies on the Nabucco Pipeline, formulating strategy for entrants into the Turkish electricity production and distribution industry, as well as appraising the prospects for various financial investment vehicles in the Turkish agricultural industry. Dr. Yesilada received his B.A. in business administration from Eastern Illinois University. He also holds an M.A. degree and pursued doctoral studies in economics from the University of California at Santa Barbara and Rensselaer Polytechnic University, respectively. Mr. Yesilada has taught economics and finance in several U.S. universities and held a research fellowship at the New York-based think-tank Jerome Levy Institute, where he specialized in banking crisis issues.